We asked a number of leading music technologists to come to the Loop summit to present their current projects and give an overview of their respective research fields. Our article New Frontiers of Music Tech gives an in-depth summary of the perspectives put forward by the likes of Leafcutter John, Sam Aaron, Thor Magnusson and others – touching on the musical applications of live coding, programming as performance, new directions in instrument design, machine learning and more. One fascinating presentation on an emerging music technology was given by Norbert Schnell, researcher and developer in the field of real-time musical interactions at IRCAM, Paris. 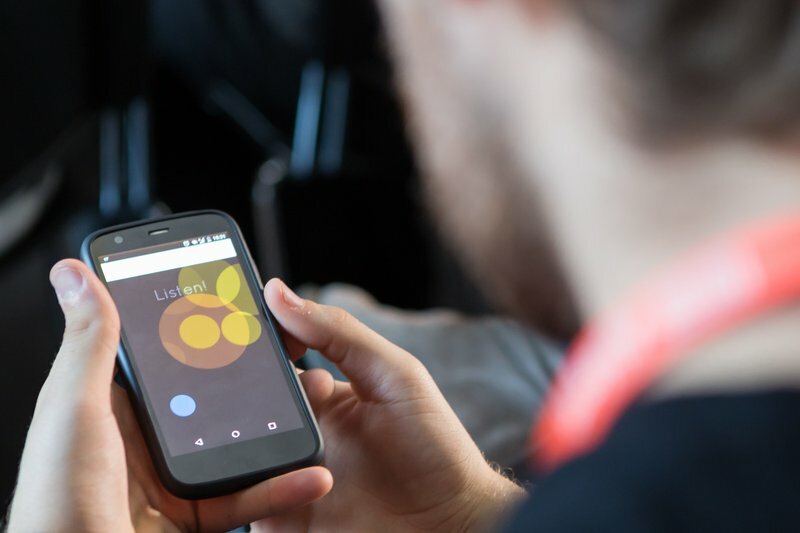 Entitled “All Together Now”, Schnell’s talk describes and demonstrates CoSiMa – a research project which explores mobile platforms as the means to create collective performances and concerts in which the audience participates in the act of music making. Learn more about the CoSiMa project.